Double Yellow – ‘Life In The Slow Lane’ Album OUT NOW!! Party poppers and jubilant scenes are happening here today as the debut album LIFE IN THE SLOW LANE by DOUBLE YELLOW is released on the wonderful London label HERE AND NOW! 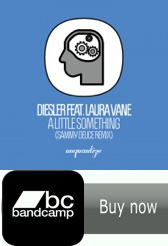 The long player also features a DIESLER Re-edit of album track ‘If Only’! Vocalist, musician & producer DAVE LILLEY has created a critically praised slice of NORTHERN INDIE SOUL which has gained many fans including BBC RADIO 2 & 6MUSIC DJs GILLES PETERSON & CRAIG CHARLES amongst others. 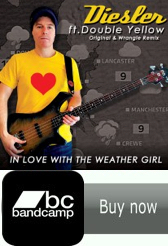 BUY : The digital only album is available from all good online stores including iTunes. 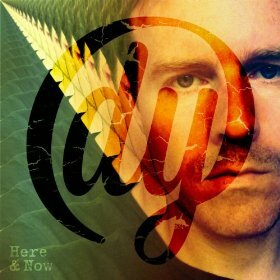 LISTEN : Tracks available to preview at the Here And Now Soundcloud. MIX : Exclusive DIESLER promo mix for ‘Life In The Slow Lane‘ at my Mixcloud. VIDEO : Amazing promos of Double Yellow tracks ‘No One Knows‘ & ‘We Got Caught’. FREE : Support DOUBLE YELLOW everytime you get a call with this FREE DOWNLOAD ‘If Only‘ Ringtone. « ‘Double Yellow – Life In The Slow Lane’ Album Pre-Order!